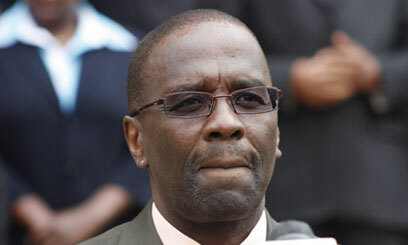 The Chief Justice Dr. Willy Mutunga should shut the hell up! When my Petition No. 311 of 2012, which challenged the corruption in the IEBC process of procuring a BVR solution for Kenya, was being frustrated in the High Court, I wrote to him mid last year but he took no action. To date he has not replied to my letter which I hand delivered to his office. Why didn’t the Chief Justice act when he had the chance to do so? Sour grapes you lost the case.GET OVER IT! Mr Omtata you are the boy who cried wolf once too often, no one takes you and your sister Nazlin omar seriously , your always in the courts petitioning every little thing ( I know you have to appear busyto your EU donors) but sometimes you take it too far ,that’s why like chicken little nobody takes you seriously when you scream the sky is falling!